Attorney William Plyler’s interest in the law derived from his admiration and respect for his uncle, deceased North Carolina Supreme Court Justice John Webb, who in turn was inspired by his uncle, deceased Chief Justice of the North Carolina Supreme Court William Devin. William understood at an early age that the rule of law is critical to protecting the rights of every citizen. 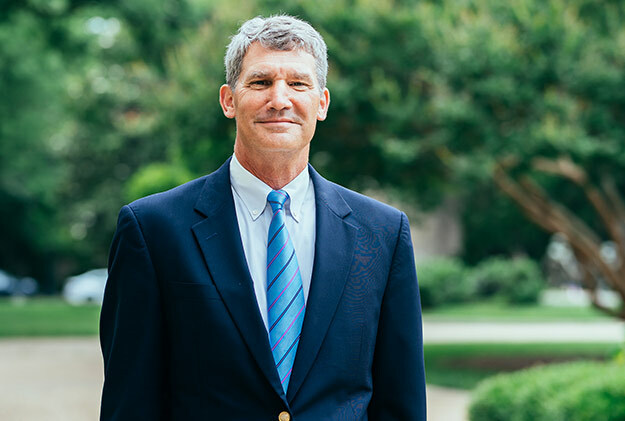 After graduating from law school in 1982, William advocated for victims of crime as an assistant district attorney in Wake County. For the last 32 years, he has advocated for victims of negligence in civil cases involving motor vehicle negligence, wrongful death, and products liability. Among his notable cases were the wrongful death cases against a municipality, its building inspectors, and a landlord arising out of a rental house fire in which a family of five, with children ages 7, 5, and 3, burned to death. The fire was one of the deadliest residential fires in the state’s history. William also represented the family of one of the three employees killed in the explosion at the ConAgra plant in Garner in the wrongful death case against the engineering firm that oversaw the installation of the gas hot water heater that exploded. William has also represented many victims of drunken driving collisions. William is listed in Best Lawyers in America, a widely regarded guide for legal excellence. 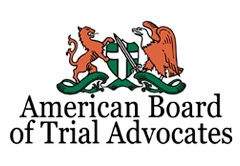 He is also a member of the American Board of Trial Advocates (ABOTA), a merit based organization of trial attorneys requiring extensive jury trial experience. William is listed as a “Super Lawyer” in the field of personal injury. He is also rated “AV” by Martindale-Hubbell, which is the highest rating for qualifications and ethical standards. William has served as president of the Wake County Bar Association. He has also served as president of the Tenth Judicial District Bar and is a member of the Fourth Circuit Judicial Conference and an inaugural member of the Susie Sharp Inn of Court. He currently serves on the Professionalism Award Committee, the Bylaws Committee, and the Athletics Committee of the bar. William is a graduate of UNC-Chapel Hill (A.B. ’78) and UNC School of Law (J.D. ’82). He and his wife, Sally, have been married 37 years and have a married daughter, a married son, a single son, and two grandsons. They also have a grandson who is deceased. When he is not working, William enjoys reading, playing tennis and basketball, and playing with his grandsons. $4.7 million settlement in deaths of elderly couple killed in wrong-way collision with drunk driver. $3.6 million recovery in death of factory worker killed in explosion during a subcontractor’s commissioning of industrial hot water heater. $2.75 million recovery for volunteer firefighter against industrial manufacturer for burn injuries sustained fighting fire at manufacturing plant. $2 million recovery in death of man in collision caused by passing on yellow line. $1.7 million recovery for land surveyor impaled by a threaded steel bar propelled by a feller buncher, a timber harvesting machine. Concluded within past five years. These results cannot be used to predict success in future cases. All cases are different and must be judged on their own facts.